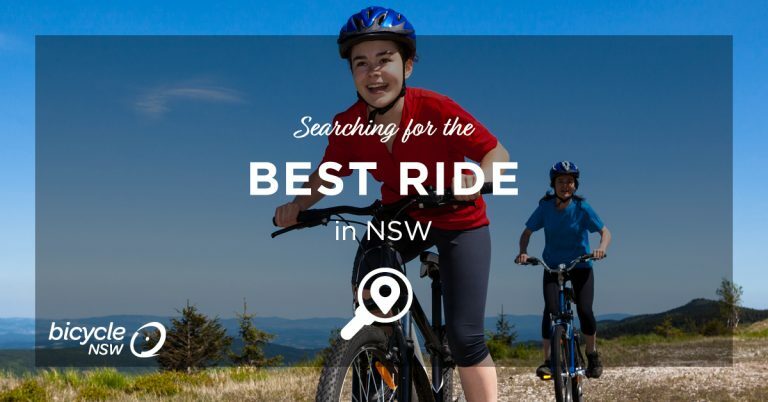 Bicycle NSW is on the search for the best ride in NSW. Whether it is the local park loop with the kids, a hill climber's paradise or a mountain bike trail – we would love to hear from you! Bicycle NSW are looking for places to ride with children, easy beginner rides, hard mountain climbs, beautiful scenery, fantastic rural rides – we want to know what is out there. No ride across NSW is too long or short, we want them all. “Let's showcase all the fantastic rides there are in NSW for every type of rider,” commented Kim Lavender, Bicycle NSW Communications Manager. At the end of April, we will use the information sent through to create the first comprehensive map of rides in NSW. How To Submit a Ride? You can send this through via email at info@bicyclensw.org.au or connect with us on social media.